I'm going to start a series featuring our favorite books and companion toys. I like to read to Ronan in the evening before bed and often will have a special toy that I bring out for him to hold while we read. It seems to bring books more to life for him and helps him to settle down and focus on the story. 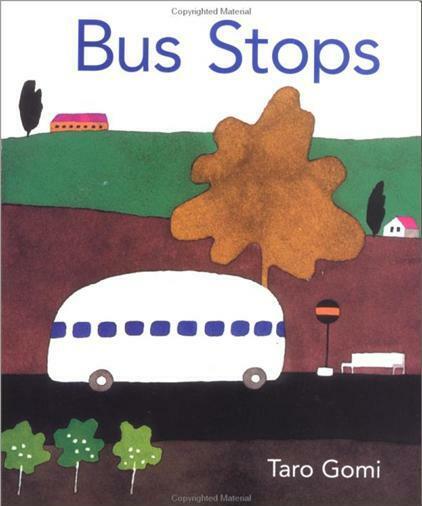 Bus Stops by Taro Gomi is one of Ronan's favorite books. In fact, right now we read it daily. It's a sweet and simple story about a bus route, where the bus goes and who rides it. I love the simple, modern pictures. Ronan enjoys finding and pointing out the bus on each page, as well as people and cars. I bring out our Playmobil bus for him to hold while we read it. Do you have a favorite story that you read to your kids? Get your copy of Bus Stops here.